Do you know how great Microdermabrasion is for your skin? Microdermabrasion is a cosmetic treatment that is the perfect physical exfoliation for your skin to improve both the tone and texture. Microdermabrasion is a procedure that clears away and discards the upper layers of skin known as the stratum corneum. This treatment will exfoliate and boost new collagen production, smooth out your skin and help reverse signs of aging by minimizing scars and smoothing out those unpleasant fine lines. ~ Another reason why microdermabrasion is so popular is because it’s not painful. It may leave your skin a bit pinker and more sensitive than usual, but there’s no recovery period needed after a treatment session. What is so Unique about Microdermabrasion? It is a minimally invasive procedure and can be used on areas other than the face. Many people are giving microdermabrasion a try all over their bodies because you can gain the benefits of reducing the appearance of stretch marks on stubborn areas, such as the hips and thighs. It can help reverse skin discoloration on the legs, reduce appearance of sunspots on the neck area, and fade the appearance of aging spots on the hands. This treatment is good for all skin types unless you have an active skin condition, such as open acne lesions, rosacea, dermatitis. Microdermabrasion has very minimal risks because it is a non – invasive treatment. 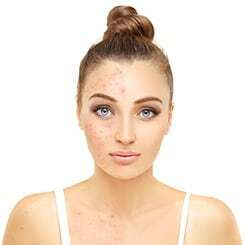 A patient should be cautioned if they have an active skin condition or if they take medication such a prescription retinol, Retin- A, Accutane or Tretinoin. Those products already make a patient’s skin sensitive, and microdermabrasion may be too aggressive. In this case, you can switch to a treatment less intrusive recommended by our Master Aesthetician. Want to learn more? Check out our Microdermabrasion page!